May Slingmeet – May is for Mei Tai! Our road to babywearing was long and far from straight. I made a simple woven wrap when I worked as a nanny for an 11 month old, and loved it; it made life so much easier, and I was a babywearing convert. But when my little girl was born she couldn’t stand the lovely Storchenwiege wrap we’d bought for her, and it took many months before I could get her into it (usually facing out, as anything else was unacceptable to her). She still didn’t like it, and getting her into it was awful. Instead, we stuck to the Mountainbuggy, until she suddenly stopped sleeping in it at 8 months. Luckily, a friend lent me herErgo, and my baby went straight to sleep! We bought the Ergo, and it made life so much easier. But I had loved wrapping, and found that so much more comfortable. By this time, it was obvious to us that our daughter hated being restrained (she always wanted to be held, but just loosely), and the wrap was too much for her. I’d joined a Swedish babywearing forum online, and found out about mei tais there, and there were mums there who made their own mei tais. I got the pattern from one of them (it is adapted from theFrankenKozy pattern), and I adapted it a bit more, as I liked the look of theBabyHawk mei tais, with panels. This way I could get a mei tai with spreadable bands, like a woven wrap. I love the mei tai, as it takes the weight much better than the Ergo, so I can wear my 3 year old without trouble. When she was younger I used to wear her for hours, for her sleep, and we went out at night (it can look really stylish with evening wear! ), and I wore her sleeping at parties. It is a lot thinner (although made with double fabric, for strength), and is therefore much cooler, which we both prefer. I also like that it takes up very little space – nowadays it lives at the bottom of my bag, and it is just really practical to always have it with us when we need it. In it’s simplest form, a mei tai is a rectangle of woven fabric, with a waistband attached at the bottom (like an upside down apron), and with two long bands (around 2 m long) attached to the upper corners. They have been used for hundreds of years in Asia, and are sometimes called Asian baby carriers. The fabric can vary – there are mei tais made of various materials, including corduroy and canvas, but also softer cottons. They may or may not have a hood, which can be handy to support baby’s head when asleep, or to shut out light. One big benefit is that your mei tai will fit mum, dad, grandma and the nanny or babysitter, without any need for adjustments. And they are very easy to learn to use. There are two main types of mei tais, ones with spreadable shoulder bands, which you spread out over your shoulders like a wrap, and ones with padded shoulder bands, like a back pack. I really like the spreadable bands, because it gives the carrier the very best of a woven wrap, and an SSC, like an Ergo or Manduca. With no straps or buckles, a mei tai is very comfortable (some mei tais combine a buckled waist strap with the long shoulder straps. Sometimes referred to as a half buckle carrier, these can be good if you don’t like having two knots to tie). Mei tais can be used with a newborn, but also with a toddler or much older child (a friend of mine used to carry her newborn in a stretchy wrap on her front and her big 6 yo on her back to get him home from school). You can wear the baby on your front, back or side. It is very easy to use, just tie the waistband around your waist, and move the panel to where you like it, pick up the baby, pulle the panel up, and toss the shoulderbands over each shoulder. 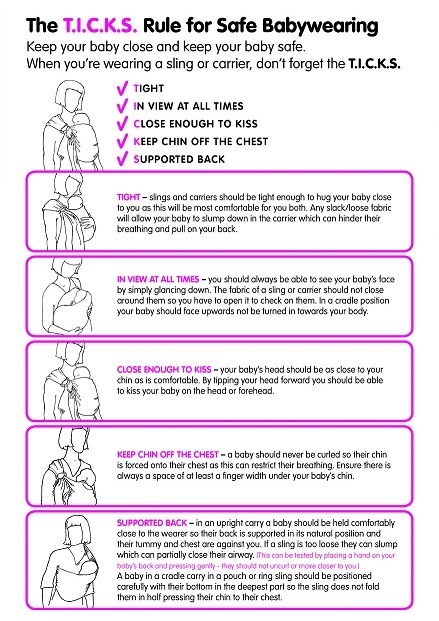 Hold baby with one hand, and cross the bands over your front, back or side, depending on how you want to carry. Then pull the bands around the baby. If the baby is quite light still, you can tie around the baby’s back (we did this until my daughter was over 18 months, but she was quite light weight. It is more supportive with a heavier child to cross the bands again over the child’s bottom, and pull each band under each leg, and tie on the opposite side to the baby. If the mei tai is made out of a more light-weight material it may over time wear out, and this may happen quicker than with a harder material. As long as you check for wear and tear before using you should be fine. Ours is quite lightweight, and we’ve used it all the time for nearly two years, with no issues (and we’ve used it a lot, as I don’t drive, and we haven’t used a pushchair since my daughter was 8 months old). For those of you with DIY skills, it is quite easy to make a mei tai. You need a waisband, about 1.70 m long, padded with fleece in the middle. And two shoulder bands around 2m long – if they’re spreadable they need to be about 30 cm wide, but you taper them off at the ends to tie easier. The front panel, however designed, can vary in size and shape. You can make it a bit smaller to fit just a newborn really well, or quite a bit bigger to hold a toddler or preschooler really well, or something in between, to fit most (around 40 cm high, 30-40 cm wide, preferably tapered to 30 at the bottom). At the top it can be rounded, or have square ends in various ways. You can add a hood or head support. Most important is to sew on the shoulder bands and the waistband really securely (if you do a search on mei tai patterns there are loads to choose from to suit all tastes/crafting ability). And even more available from overseas vendors if you search. Some vendors may even be able to sew you a customised mei tai to your specifications. 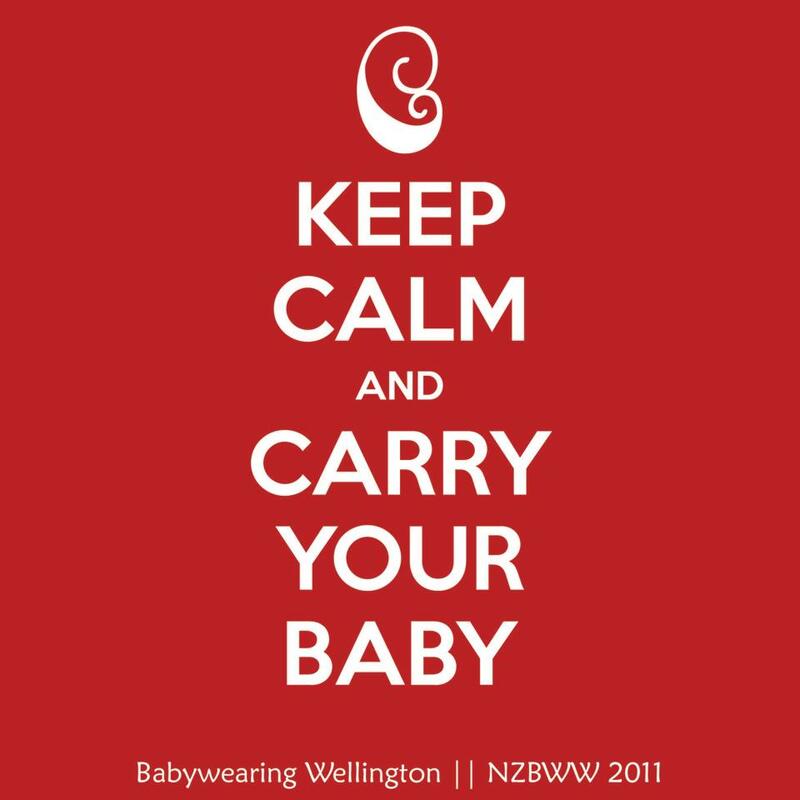 Tags: babywearing, diy, KissMei, Kozy Carrier, Library, Little Ruby, Little Tree Baby, Mei Tai, Oyako. Bookmark the permalink.